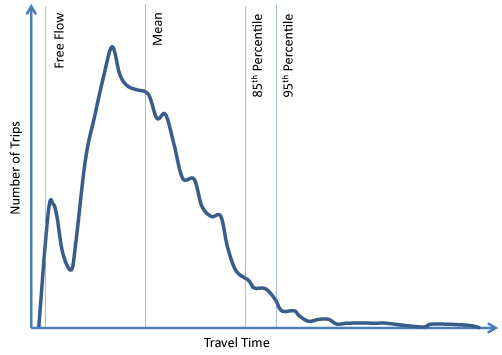 Travel-time reliability is the variation in travel time for the same trip from day to day. 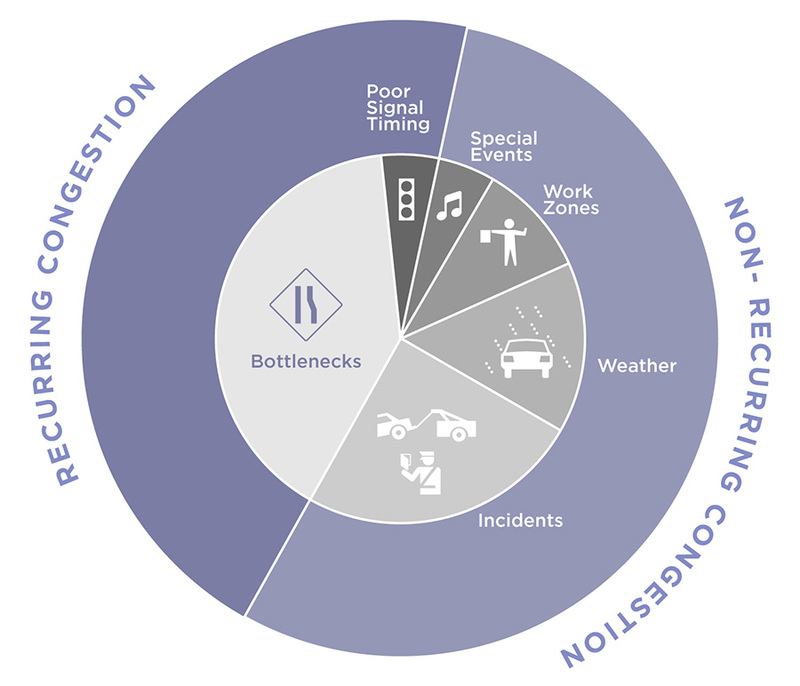 Data collected from across the United States indicate that non-recurring congestion accounts for more delay than recurring congestion due to capacity constraints. Highly variable or unpredictable travel times make it difficult for travelers and shippers to plan trips, leading to ineffective or counterproductive travel decisions that waste time and money. 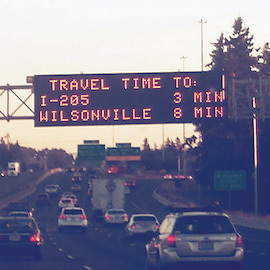 Variable travel times tend to originate from disruptions on the transportation system. 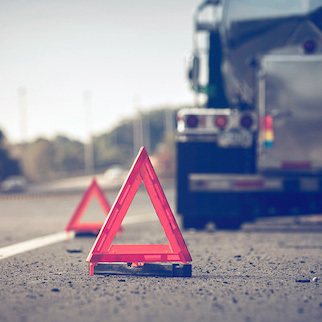 These disruptions occur as a result of any number or combination of factors such as poor signal timing, inclement weather, crashes, construction work zones, arena concerts, or major sporting events. In turn, they may cause unexpected congestion even in areas that don't normally experience congestion. Why Should Reliability be Incorporated into CMPs? Customer Expectations. Surveys of the traveling public and freight shippers repeatedly show that they value travel-time reliability more than speed. They expect that public agencies will provide real-time information and will alleviate the effects of disruptions on the roadway and transit network. Roadway Expansion Constraints. 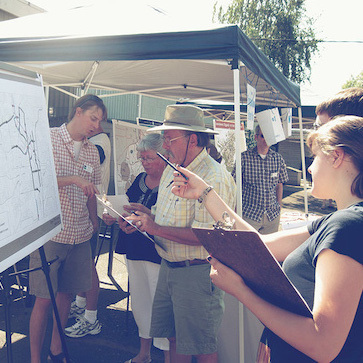 Funding and space constraints increasingly limit roadway and transit system expansion. The impetus is to use transportation system management and operations (TSMO) strategies to make more efficient use of the nation's existing transportation system. 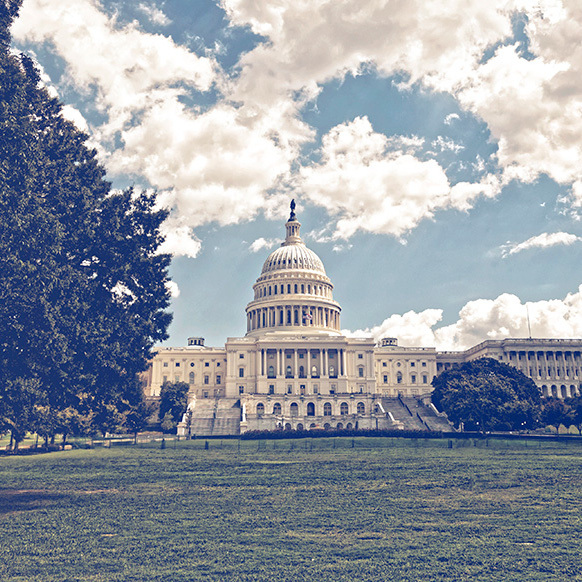 Federal Surface Transportation Reauthorization Law The Moving Ahead for Progress in the 21st Century Act (MAP-21) establishes a system-reliability goal for improving the efficiency of the national surface transportation system. CMPs that incorporate reliability provide a pathway to developing the performance-based planning and programming elements that aid this national goal by improving regional travel. 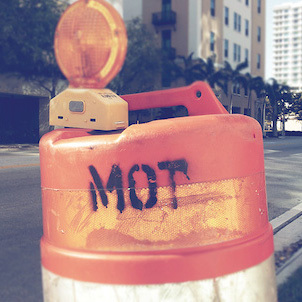 The Federal Highway Administration (FHWA) publishes guidance and provides workshops to assist agencies with identifying and implementing best practices with regard to federal law. 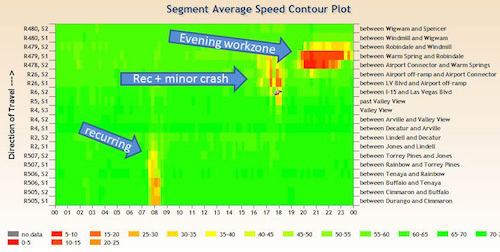 The effects of non-recurring congestion on travel-time reliability can be minimized if the causes are identified and plans for addressing the disruptions are developed and implemented. For example, incident management plans typically include protocols for the efficient clearance of roadways or rail lines and for the provision of dynamic messaging signs to inform and advise travelers. A sample of some regions that have begun to address travel-time reliability in their CMPs is highlighted below. The Madison Metropolitan Planning Area CMP specifies analysis of non-recurring congestion, specifically crashes, non-collision incidents, and work zones. It identifies coordination with the Wisconsin State Department of Transportation, Dane County, and the University of Wisconsin for data and improvement plans. The Wilmington Area Planning Council's CMP has identified a strategy evaluation process that prioritizes improving roadway operations above adding capacity. To that end, the region has increased its investment in technologies for monitoring traffic conditions with speed detectors and traffic cameras and communicating to the traveling public using variable message signs. The Regional Transportation Commission of Southern Nevada inventories and archives data on daily congestion events, travel times, and volumes to calculate reliability measures for most freeways in the region. The data are also used to customize scores and rankings that diagnose congestion in terms of causes. Photograph (Top) courtesy of iStock (R. Yasick), Photograph (Bottom) courtesy of Kittelson & Associates, Inc. Reliability can be estimated by looking at travel-time variability. If variability is great, the travel time is considered to be unreliable, because it is difficult to generate consistent and accurate estimates for it. If there is little or no variation, the travel time is considered to be reliable. The Planning Time Index (95th percentile compared to free-flow travel time) is a common performance measure, among others, that use indices shown in the Measures of Reliability figure. The PTI is indentified in The Highway Capacity Manual as one of the most intuitive and consistent measures for reliability. A PTI of 1.5, for example, means that a traveler should plan for 50% more time for their trip compared to light traffic conditions for a 95% probability of arriving on time.